Gilbert Arizona continually ranks high as a preferred Phoenix suburb. 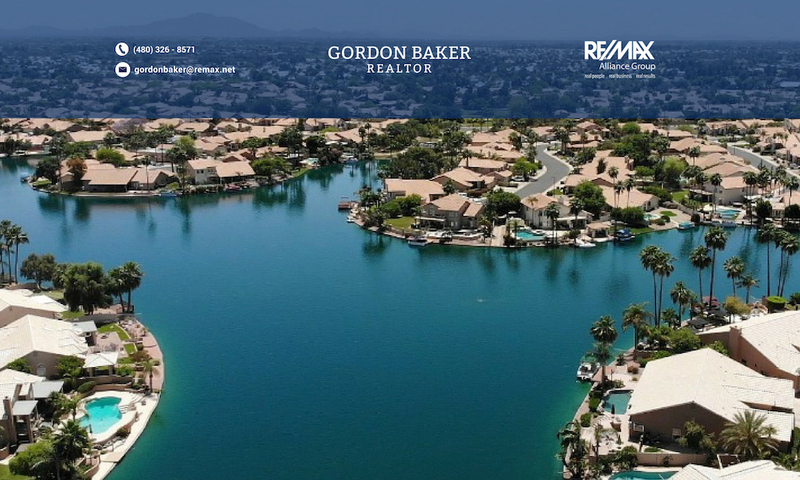 For those with an eye for waterfront homes, it also draws their attention since Gilbert has more lake communities than any other Phoenix city except Chandler. 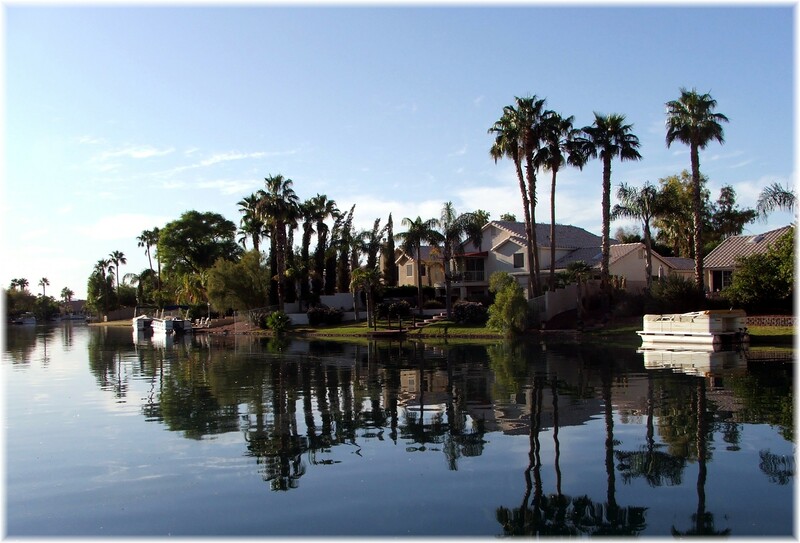 Gilbert offers a range of waterfront opportunities that includes townhouses, single family dwellings, water ski and wake board property and lakes that allow pontoon boats and canoes. Val Vista Lakes is a 900 acre master planned community with 24 residential subdivisions and one of the best community clubhouses in the southeast valley and includes a range of housing options from townhouses to luxury waterfront homes in gated communities. Val Vista Lakes Elementary is also located within the community making it even more attractive to families. The clubhouse features a sand beach community pool, racquetball courts, weight and aerobic facilities, and eight tennis courts. 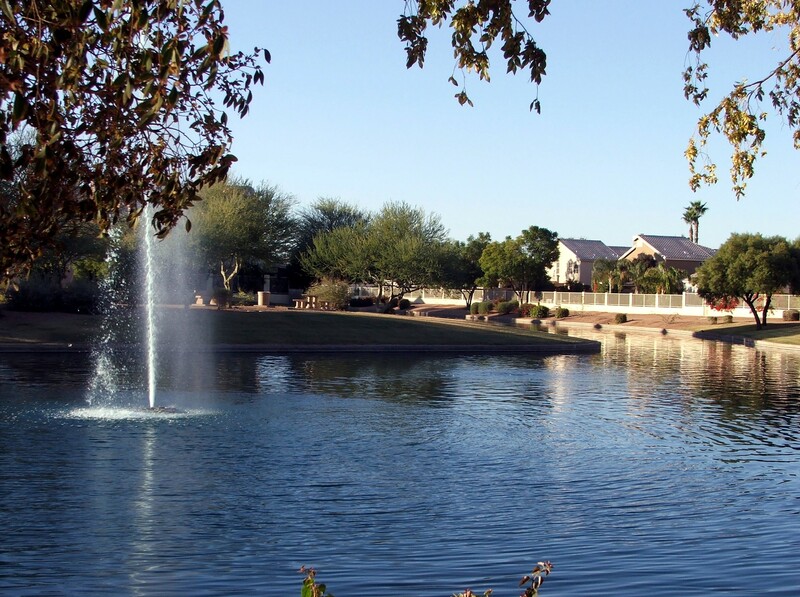 Val Vista Lakes features walking paths, parks, and greenbelts throughout the community. Don’t miss new listings, receive updated listings. The Islands One of the larger lake communities in the valley, The Islands offers a range of waterfront properties that provide a perfect setting for waterfront views and pontoon boating. If you’re around in December you can enjoy the holiday boat parade. As with many Gilbert lake communities, you’ll appreciate the clarity of the water in The Islands compared to other valley lake communities. The lake measures 1,150 feet long by 350 feet wide with an island in the middle. This is significantly shorter than Crystal Point which measures 2,250 feet long. On the positive side, the Playa Del Rey monthly HOA fees are 1/3 of those at Crystal Point and Santan Lakeside Estates. Homes in Playa Del Rey range in size from 2,500 to 4,500 sq.ft. If you would like to receive updated waterfront homes, click on send me waterfront property. Please describe the property in as much detail as possible. Santan Lakeside is only 8 miles from the Phoenix-Mesa Gateway airport and Santan Village shopping center and restaurants. 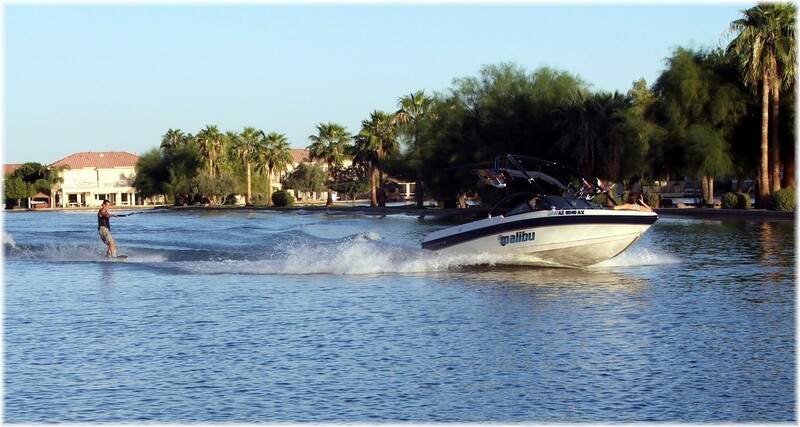 Only AWSA boats are permitted at Santan Lakeside Estates and wakeboarding is not permitted. 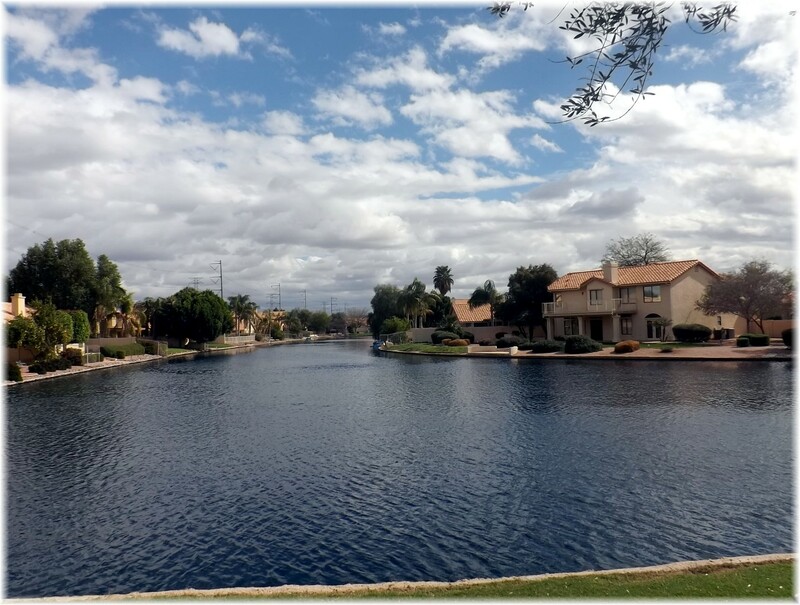 Stonebridge Lakes, located in Gilbert and almost equidistant between The Islands and Val Vista Lakes, has two separate communities, the Estates and the Manor. 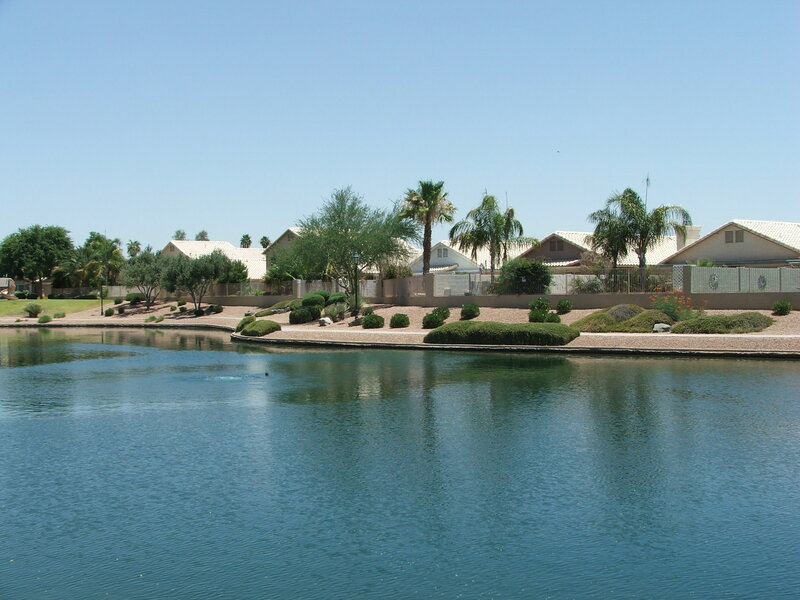 Unlike many lake communities, Stonebridge Lakes features two community pools and is located right next to one of the popular jogging and biking trails and is very close to Gilbert’s largest park, Freestone Park. It is also close to downtown Gilbert which features many popular restaurants and the Halle theatre. Lago Estancia is made up of two bodies of water. There are two sizes of waterfront lots in Lago Estancia, those under 5,000 sq.ft. and those over 7,000 sq.ft. The other distinguishing characteristic of waterfront homes in Lago Estancia is some of the homes are separated from the water by a common area walking path. For those owners who do not live on the water this provides an opportunity to enjoy walks along the waterfront. The potential buyers must be aware of those that are waterfront homes and those that are simply lakeview properties. Crystal Point is a gated luxury lake community with 20 water ski properties; 18 custom homes and 2 vacant lots. The lake measures approx. 2,300 ft. in length and at least 200 ft. wide. It is the only water ski lake with a jump. Home sites are typically 20,000 sq.ft. in size with custom homes that range in size from 3,400 to 7,500 sq.ft. Crystal Point is conveniently located only 15 minutes from Sky Harbor International Airport. 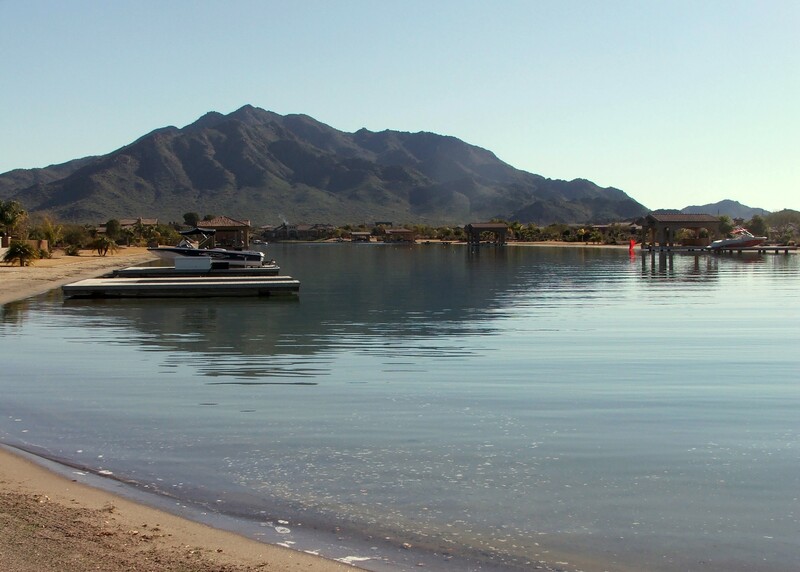 The rules and regulations will be very similar to those for Santan Lakeside Estates so it is important to check regarding the use of wake boards. Wind Drift is one of the smaller lake communities in Gilbert. It features 50 waterfront lots. 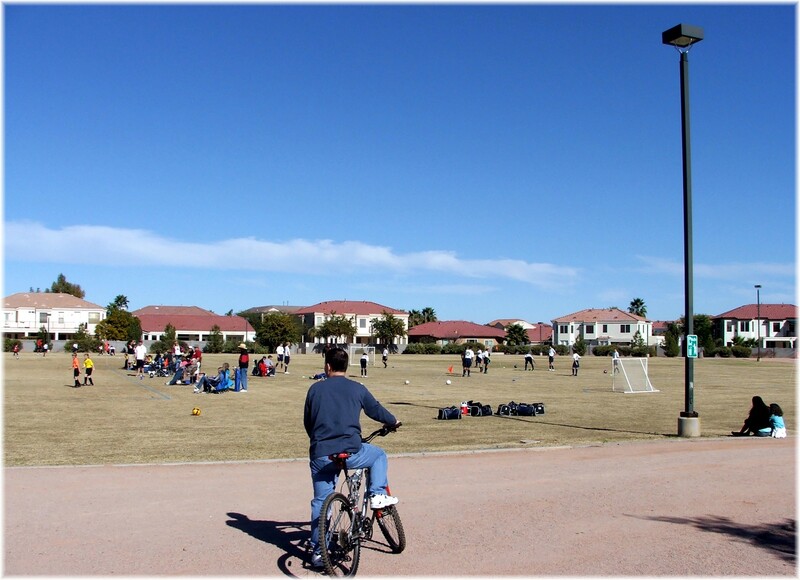 The community was built in the mid- 1990’s. Freestone Park, Gilbert’s largest, is to the north of the community and Gilbert High School is right across the street to the south. Freeway access is ideal with the US60 just two miles to the north and the newer 101 loop less than 3 miles to the southeast. If you would like to receive updated waterfront home listings automatically as they come available, click on send me waterfront property. Please describe the property in as much detail as possible. 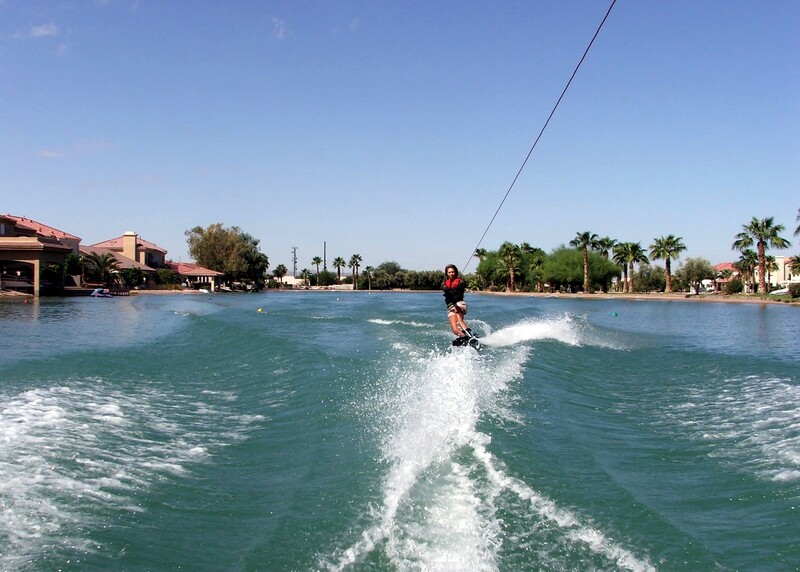 Gilbert has a wide variety of recreational opportunities. Who would have thought that you could find an ice skating & hockey rink in the desert. Check out Polar Ice in the middle of Gilbert. For those who want a different twist to a golfing experience, visit the recent addition at TopGolf. A one of a kind experience awaits you at Riparian Preserve at Water Ranch which neighbors the southeast valley library . The Riparian Preserve includes an observatory, catch and release fishing, bird watching and walking trails. Other recreational options include the Freestone Activity Center, McQueen Activity Center, and Big League Dreams. For those who enjoy jogging, biking, and walking, make sure to be aware of east valley jogging and biking paths. Or reward your canine companion at the award winning Cosmo Dog Park. In terms of restaurants, some of my favorites include Joe’s Farmhouse Grill, Liberty Market, and Joe’s Farm Grill. There is plenty of shopping at the newer Santan Village outdoor shopping mall. To receive available waterfront homes for sale, click on Send Me New Listings. Please describe the property in as much detail as possible. Solar panels in Phoenix – A Good Idea?